If you are looking for teeth whitening, our practice offers simple and non-invasive solutions to improve your smile. Some of the procedures that we offer are laser teeth whitening, take-home teeth whitening methods, and the molding, fabrication, an installation of porcelain veneers. For the most effective and time efficient results, this method divides the best results for those looking to dramatically change their shade of white in just one or two simple dental visits. Using high-tech laser teeth whitening methods, we are able to brighten a smile by up to eight shades in one or two visits. The agents that we apply are not dangerous to the overall health and with our supervision pretty much nothing can go wrong. The most cost-effective teeth whitening method we offer is a take-home method. At the first visit you will visit us and we will form a teeth whitening tray. At the second appointment we will ensure that the tray fits and give you instructions on how to take the trays home and apply a special whitening solution for a certain period of time. This period of time is usually about thirty minutes per day for a few weeks. The level of stains you currently have will dictate the length of time the procedure will take place. At your local pharmacy you can find many teeth whitening products. Toothpastes, gels, adhesive strips are a good solution. While we do not recommend teeth whitening be performed without the supervision of a dental professional some of our clients have had success with these methods. It is advised that you speak to us before continuing with the take-home method in order to ensure that your health is satisfactory for the treatment. Porcelain veneers are a much longer-term solution than simply whitening the teeth you have. A more rounded solution, veneers also make your teeth more uniform and remove any blemishes, cracks, or chips you may have that detracts from your perfect smile. Veneers come in two styles – porcelain and composite veneers, and vary in pricing and longevity. They are thin sheets that are molded and overlaid over your current teeth. To do so, the dentist needs to remove the thin layer of enamel on the face of the teeth receiving the veneers. Then a mold is taken and sent to the lab for production. Once back from the lab, your dentist will fit each one to your tooth, cutting and filing down each one until they achieve a perfect fit. As opposed to to teeth whitening, veneers should last you anywhere between 5 to 7 years, and ward off staining from coffee and other stain-producing foods you eat. Lumineers are the most popular, and more expensive version because the materials they use are thinner and longer-lasting. Other types of cosmetic dental works are also available. And while we do not perform orthodontics in our office, they are often some of the most impressive treatments in terms of overall results. 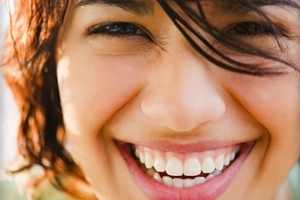 Teeth straightening can dramatically improve the look and function of your smile. We partner with many orthodontists that can deliver the best braces for any person of any age. Often times a candidate for orthodontics will need to have the wisdom teeth removed. This is because wisdom teeth removal can reduce the impaction and movement all the teeth in the mouth. If you have any questions regarding in-office teeth whitening, or the methods we have mentioned for take-home use, do not hesitate to request an introductory consultation on our contact form. Remember only those people with satisfactory dental health are suitable for cosmetic dentistry. We will help you attain that minimal level of overall health so you can get your smile to the standards you desire!